When people decide to get on one of the many rides that amusement parks, carnivals, and local fairs have to offer, their first thoughts are generally those of excitement and anticipation. Even with movies like Final Destination 3, most thrill seekers do not consider the possibility that one of the rides can malfunction or result in some kind of freak accident. The claim is that statistically, ride-related injuries and deaths are extremely rare, and that a person is more likely to get struck by lightning. While statistics on ride-related accidents can often be hard to obtain, it seems as though this claim may have some merit. The International Association of Amusement Parks and Attractions (IAAPA) have noted that the chance of a serious injury occurring on a ride at a U.S. fixed-site amusement park is about 1 in 16 million. Why then are people becoming more and more hesitant about allowing themselves or their loved ones to get onto a ride? Over the past decade or so, the number of ride-related incidents has risen tremendously. According to Amusement Safety Organization, there were over 1,500 significant injuries at amusement parks nationwide in 2014. Around one-half of those that are injured by amusement park rides are children between the ages of ten and fourteen years old. These incidents are not only restricted to temporary rides that are assembled at local fairs and shopping centers for a limited amount of time. Many reported incidents have occurred at the larger, more well-known, fixed-site amusement parks such as Six Flags, Disney World and Disney Land, and Universal Studios. In 2016, several ride-related accidents made headlines across the nation. At least two ride-related accidents involved children falling out of the ride; one boy was as young as three-years-old. Other ride-related accidents involved the ride malfunctioning or other issues with its operation. A 10-year-old boy died after being decapitated on the world’s tallest water slide located in a Kansas City water park. An eleven-year-old girl sustained severe injuries to her scalp after her hair got tangled in a spinning ride at a carnival in Omaha. Tragedy struck again this past Wednesday at the opening night of the Ohio State Fair when part of the Fire Ball ride, a spinning, pendulum-like structure, broke off mid-ride. The malfunction killed an eighteen-year-old boy and injured at least seven others, three of whom are currently in critical condition. Prior to the fair’s opening night, four rides failed their inspections; Fire Ball was not one of them. This raises questions as to the safety standards that ride inspectors adhere to, and who regulates these standards. Over the years, ride-related accidents, such as the malfunction at the Ohio State Fair, have led to discussions on implementing Federal regulations on all rides’ safety standards. Currently, only mobile rides are regulated by the government, specifically the Consumer Product Safety Commission (CPSC). Regulations for fixed-site rides on the other hand vary by state. While some states regulate the safety standards, others depend on insurance companies or third-party inspectors. The inconsistent application of these safety standards has become a major cause for concern for ride operators and riders alike. 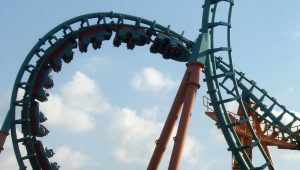 Individuals who have been injured in a ride-related accident can sue the amusement park for negligence and/or pursue a product liability claim against the manufacturer of the ride.